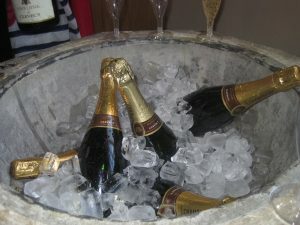 Champagne reception for Easter Sunday service at St. James! JESUS CHRIST IS RISEN TODAY! HE IS RISEN INDEED, ALLELIUA! 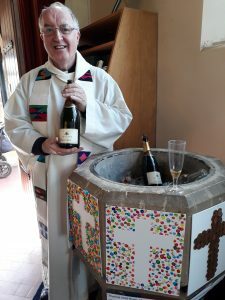 Today at our Easter Sunday service, the congregation were surprised and delighted to be greeted with a glass of champagne as they arrived! Why? Because today we celebrate the single most important event in our church year: the resurrection of Jesus Christ. 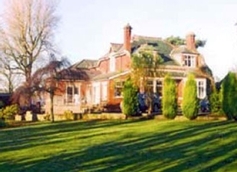 As the vicar explained – in any other setting, a big celebration would be accompanied with these little extras we all enjoy and even expect – weddings, coming of age parties, etc. Why shouldn’t the modern day church celebrate in the same way? In a similar vein, every member of the congregation was given a gift to take with them at the end of the service. If you are wondering what gift could possibly follow a champagne starter – well, it was an Easter egg, of course! 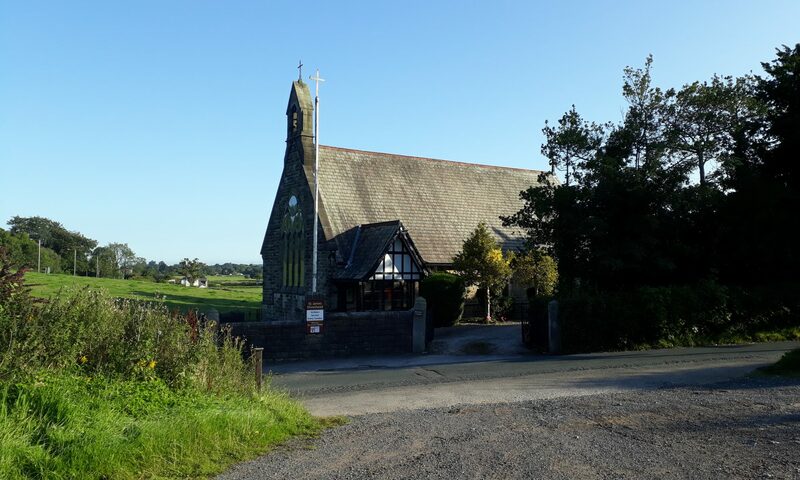 Our services take place at St. James Church, Shireshead, Forton, Lancashire – why not come to along and see what our enterprising vicar is going to think of next? Click here to find out more. Easter Sunrise Service at St. Pauls Graveyard, Shireshead. Early risers from the congregations of St. James and St. Johns Ellel met this morning for an out-of-doors dawn service at St. Pauls Graveyard, the site of the old Shireshead Church. Meeting at 6.30am, the early risers joined the dawn chorus from our local bird population, giving thanks for the resurrection of Christ. The Easter season continues at St. James Church, Shireshead, Forton, Lancashire – why not join us to celebrate God’s amazing love for us! Good Friday saw a quiet and contemplative congregation take part in our Hour at the Cross service at St. James Church. We focused on the roles of some lesser known characters from the Passion story: Pilate’s wife, the impenitent thief and the women followers at the cross. “Unless a grain of wheat falls to the ground and dies, it remains just a single grain; but if it dies it bears much fruit.” John 12: 24. Please join us for our celebratory Easter Sunday Eucharist, at 10am on Sunday 1st April, at St. James Church, Shireshead, Forton, Lancashire. Sunday 11th March 2018 saw our Mothering Sunday service take place at St. James. We saw pictorial tributes to our Mothers past and present, and distributed daffodils at the end of the service. “And Mary said: “My soul glorifies the Lord and my spirit rejoices in God my Saviour, for he has been mindful of the humble state of his servant. From now on all generations will call me blessed.” Luke 1: 46-48. We give thanks to God for all Mothers, past, present and future, and pray for them to be strong, blessed and fulfilled in their nurturing role within their families. We would like to invite all Mothers – and their families – to come and join us for worship at St. James Church, Shireshead, Forton, Lancashire. Click here for service times. The lent course is proving popular at St. James; a large group is meeting every Wednesday evening with representatives from no less than three local churches. If you would like to follow the course notes, please look at the Lent page by clicking here. 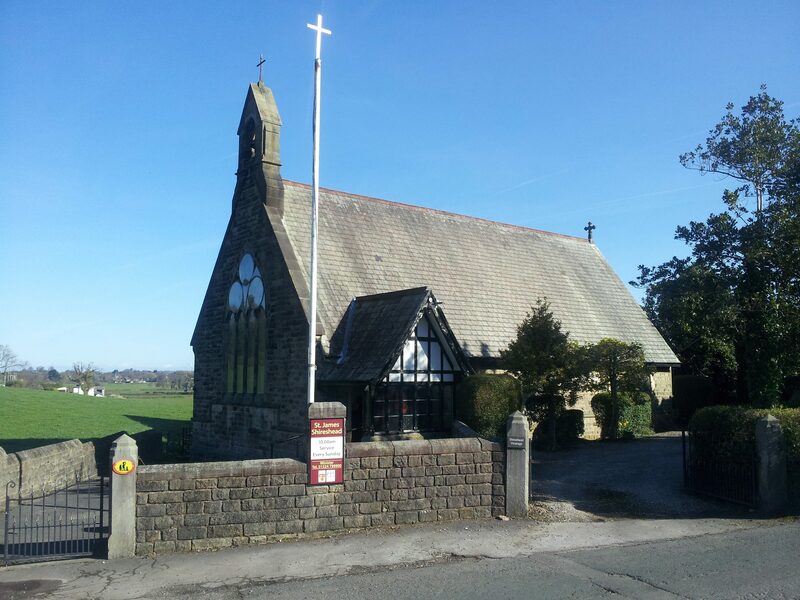 Members from a number of local churches are meeting at St. James Church, Shireshead, Forton, Lancashire. You are very welcome to join us; each session works as a stand alone unit so it won’t matter if you have missed one. We celebrated Candlemas at our All Age service on Sunday 4th February 2018. 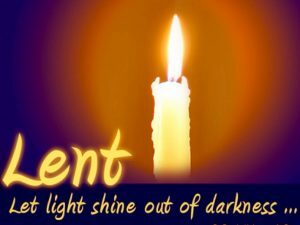 We gave thanks for Jesus, the light of the world, who continues to work so vividly within our lives and the lives of those in our community. All the congregation lit a candle and prayed together. God be praised! Why not come and join us at St. James Church, Shireshead, Forton, Lancashire for fellowship and worship? Click here for details of service times. Prepare for lent with St. James Church – February 2018. 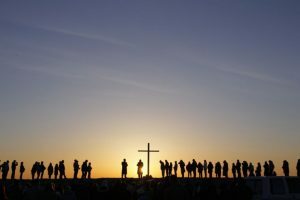 We all know that Lent is traditionally a time of fasting, and following the indulgences of Christmas, we typically focus on giving something up, whether it be chocolate, social media or perhaps alcohol. 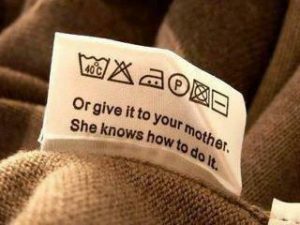 But there is also great value in undertaking a discipline of doing something extra for this time. Lent is a time of reflection and spiritual growth, and what better way to allow God to work within us, than to commit to a short course of study? The congregation of St. James are being invited and challenged to make a commitment to study together during Lent. We will do this by focusing on the book “Christianity Rediscovered” by Vincent Donovan. This was written as an epistle from the Masai, and addresses the question of what it means to be a community of faith. 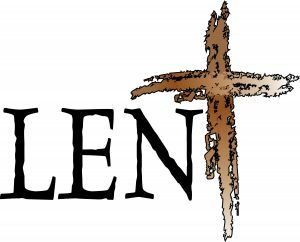 This Lent activity will help us to understand and focus on Christianity as Community. We plan to run a lunchtime group and an evening group each week. Wednesday has been suggested as a suitable day for both groups to meet, but this may change depending on the needs of those interested. 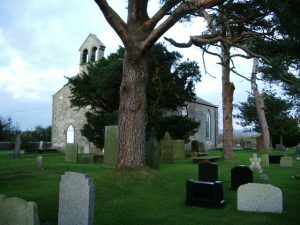 The suggested venue is St. James Church, Shireshead, Forton, Lancashire. Why not make your own commitment to join us in study and prayer? We would love to travel this journey with you! In the first instance, please contact Peter by clicking here, to register your interest and find out more. Wishing you a joyous New Year, from all at St. James. 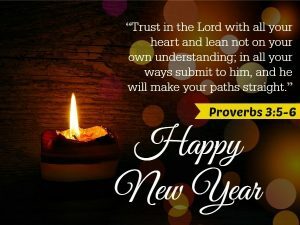 Remember always, whatever befalls you this year, that you are truly loved and deeply cherished by the Lord, and you will always be welcome in His house. Why not join us in worship and fellowship this year, at St. James Church, Shireshead, Forton, Lancashire? Click here for details of our service times. We would love to see you there! We celebrated our special Family Eucharist at 10am on Christmas Day at St. James Church. After much publicity, our special guest arrived … it was Father Christmas, of course. Although very tired after his night’s work, he popped in to remind us of how his work of “giving with no thought of return” is central to the Christian message. 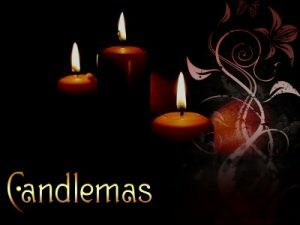 We wish all our website visitors a happy, peaceful and joyous Christmas and New Year! But Christmas isn’t over yet! We have a number of special events coming up at St. James Church, Shireshead, Forton, Lancashire, in addition to our regular worship times. Click here to find out more – we would love you to join us! The congregation of St James has been out and about this month, singing the Good News of Jesus’ birth, in the most unlikely places …. On Saturday 16th December, the Forton Light Orchestra (made up of the St. James music group and friends) played Christmas Carols on the FanZone stage at Ewood Park, Blackburn, before the match against Charlton Athletic. We had Susan on keyboard, Rebecca on trumpet, Daisy on clarinet, Malcolm on saxophone, Andrew and David on vocals and Mark on violin. It was a great event, and four of the group stayed to watch the match afterwards, with Blackburn Rovers winning 2-0. Wednesday 20th December saw members of the music group out and about again, this time singing and playing to the residents of Stanley Lodge and Oakfield Nursing Homes, both in the Forton locality. The residents always greatly enjoy this annual event and are very appreciative. We love bringing some Christmas cheer and watching their faces light up! 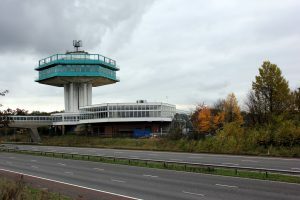 Saturday 23rd December heard our voices once again lifted in joyful Christmas song, this time at Forton Motorway Services. This is one of our favourite venues to sing carols, as the travellers passing through are so surprised and pleased to see us. Some get in to the spirit of Christmas by taking a little extra time to sing with us in worship before continuing on their travels. 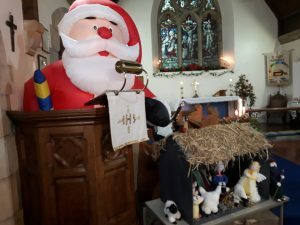 You too can come and sing with us at St. James Church, Shireshead, Forton, Lancashire, over the Christmas season, just click here to find out about the services that will be taking place. We look forward to meeting you!